In advance, I would like to say thank you to everyone who has participated in any contests and giveaways Ive done. 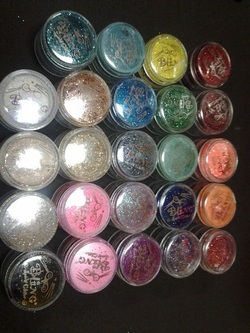 Bling Spirit Glitter has been one of my official sponsors since 2008! Any events Im affiliated with or host, Bling Spirit sponsors my giveaways and contests. Check out their website www.blingspiritglitter.com and all of the I Am Konfident Bling Spirit winners will be listed here!